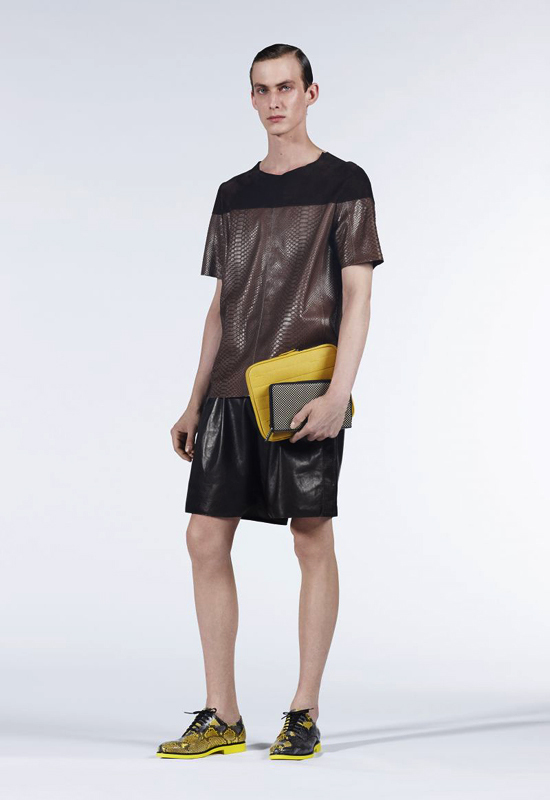 Fendi Spring Summer 2013 Mens Collection is truly under the radar despite some many merits for its design. Not much publicity has been given, I guess attributed to the mens collection not being a mainstream business for the brand. Fendi is generally perceived as a women’s luxury label. However, look hard enough and there are amazing designs to be discovered in this SS2013 season’s menswear offerings. Textures, patterns and bold use of materials are key building blocks to Silvia Fendi’s concepts. I have seldom seen so much mix of these aforementioned in a single collection. Kudos to Fendi for trying. The shoes are especially noteworthy, with many contrast material options such as leather mixed with rough woven canvas amidst suedes, python and patterned calf. Geometric micro checks, stripes and colourful snakeskin are also thrown into the mix to create some interesting visual appeal. The bags comes in all types of shapes. 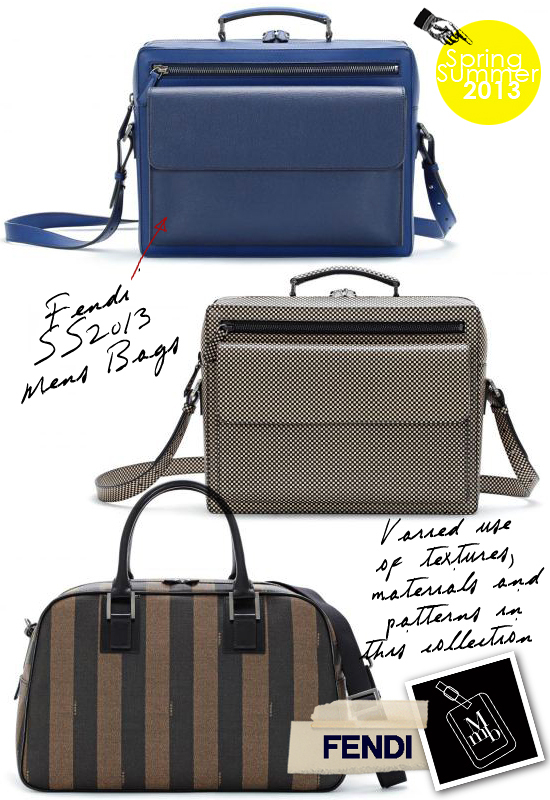 The boxy briefcases are my favourites, styled in abundance in Fendi’s SS2013 lookbook. 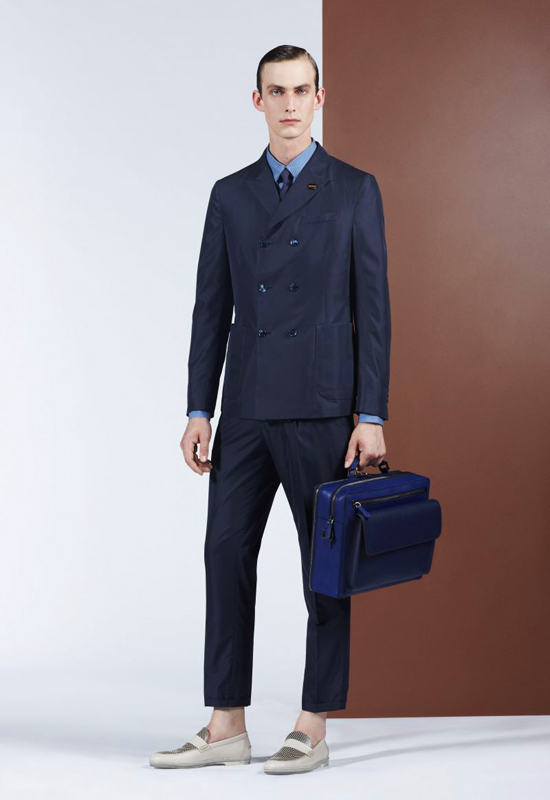 The blue one is especially handsome and looked great when matched with a good piece of suiting. I may not be a fan of blatant branding... but those striped bags also caught my eye, somehow the graphic treatment made them summer nautical and in a way, worthy of my bag collection. 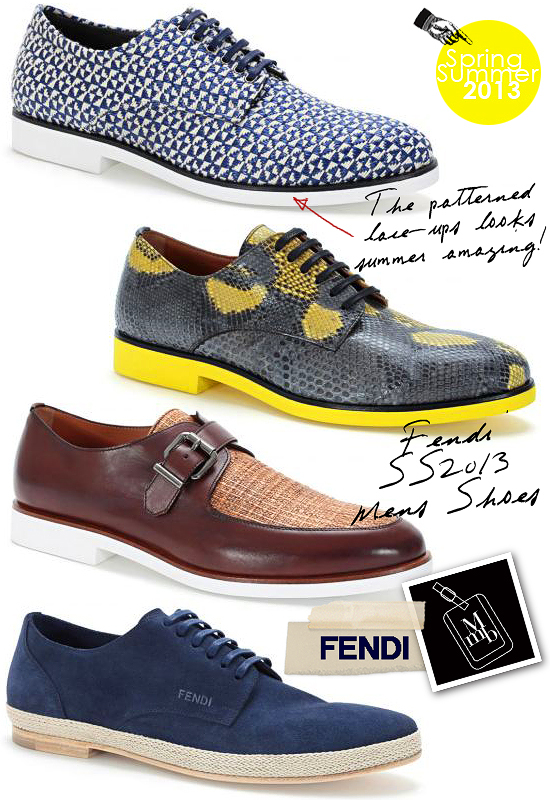 Click here for more pics of Fendi's SS2013 Mens Bags and Shoes Collection on my facebook fanpage. 'LIKE' my fanpage if you enjoy reading this post.